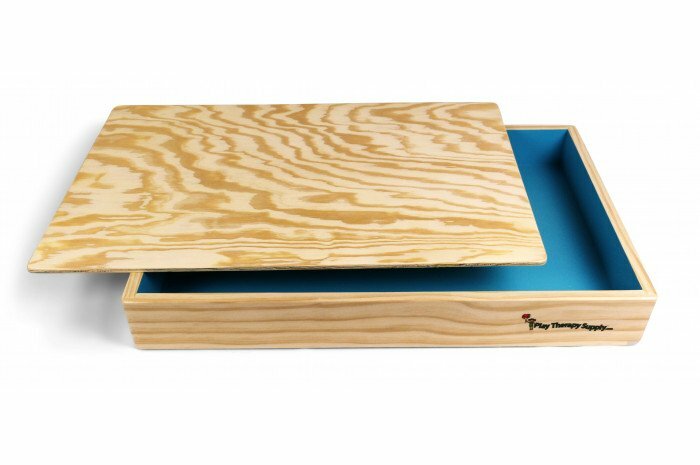 We invented the affordable wood sand tray, and now we've just made it better! New improved design features stronger rabbet joints in the corners and higher quality materials. Now the lid is even included at no extra charge! You won't find this great of a deal anywhere else. NEW! Rabbet joints in each corner make this tray one tough mamma jamma! You asked for it, we made it! 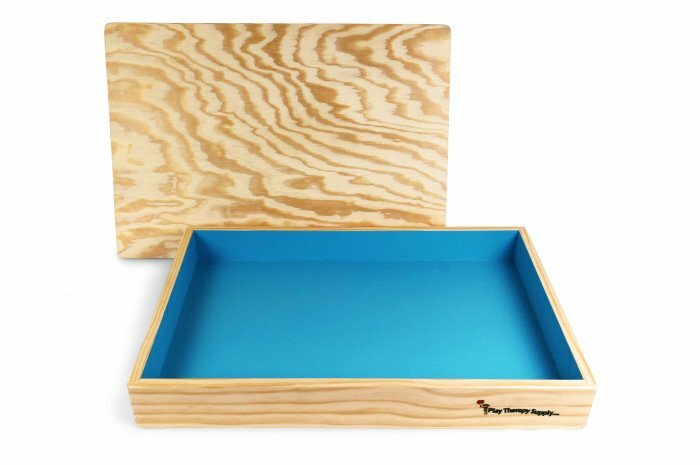 A high-quality wood sand tray that won't break the bank. 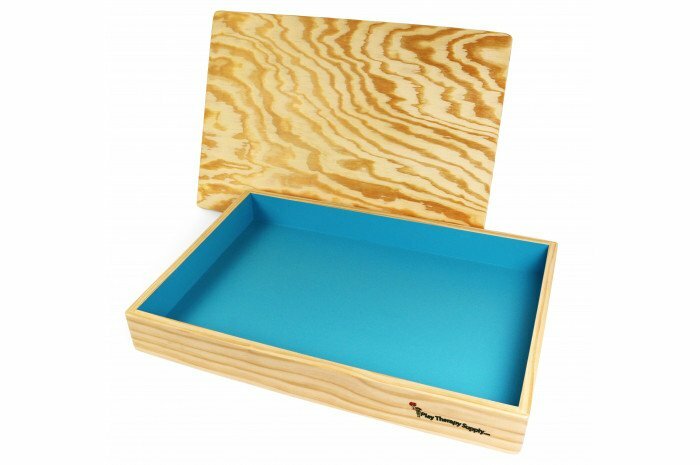 This expert-made tray is built from choice pine and features a gorgeous blue interior which can represent water. 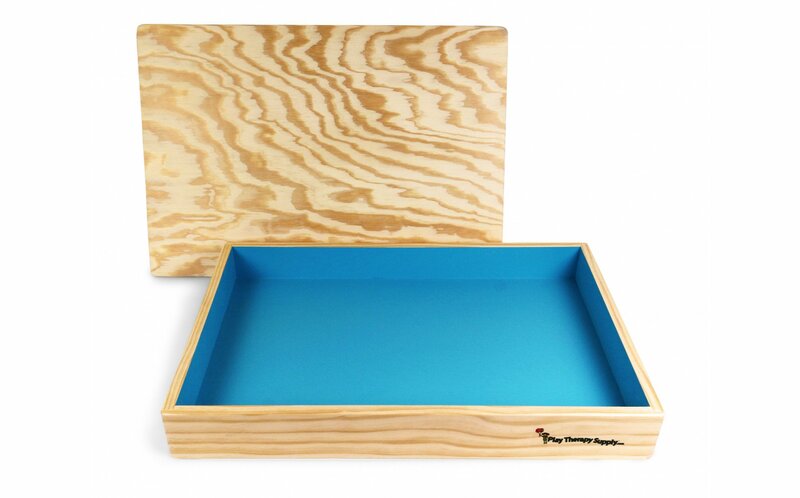 With reinforced corner joints and a stay-put lid, this tray is sure to last you many years. Tray exterior measures 19.5 x 28.5 x 3.5 inches (interior measures 18 x 27 x 3 inches). Handmade in our own facility. Made in the USA! Also available with a stand. I got a great deal on this and am totally satisfied! 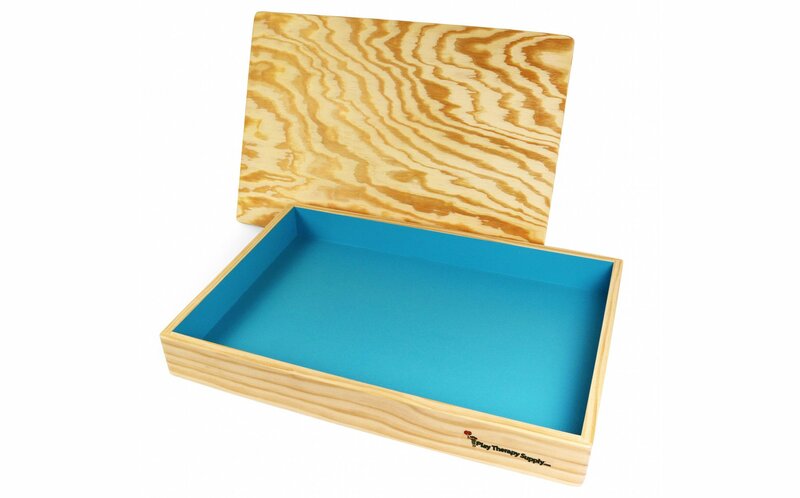 This is a beautiful sand tray, with a perfectly fitting lid. I got a great deal on this and am totally satisfied! The blue is lovely inside, the wood grain is light and pretty. A great value and has added to my play therapy practice. Love the sand tray! It is a great value and has added to my play therapy practice. My young clients are very drawn to it. It was delivered quickly and in great shape. 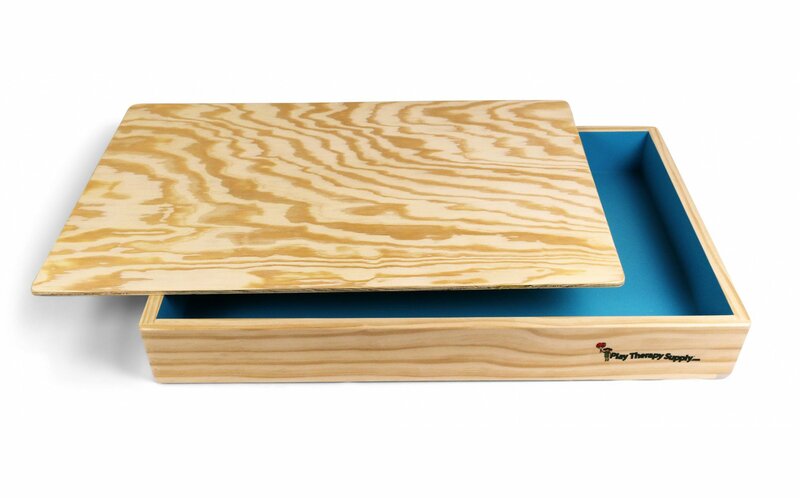 Very nice tray and constructed well. 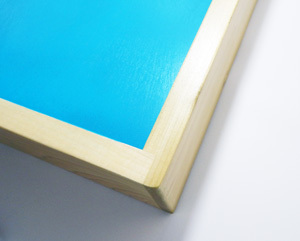 The cover is thin ply about 3/16" thick, a little flimsy but looks nice. Great product! Looks just like the image! Beautiful blue color! Nice product. It was delivered quickly and safely. When not in use, sitting on the table, it looks like a very professional piece of equipment. The cover, though contributing to a clean appearance, can be too easily knocked off. It could be a little sturdier. Otherwise, I am very satisfied with the tray. Very well made table at a good price. I'm happy with the tray, but frankly disappointed in the lid. 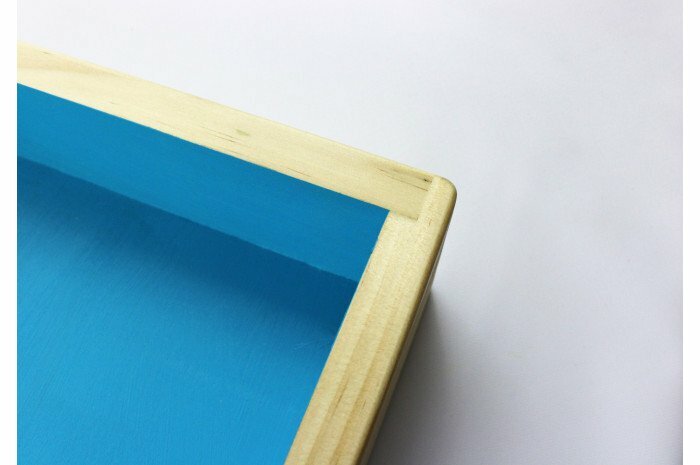 The finish on the lid is not as nice as the tray and makes the whole thing look less professional. I bought these for my daughter who is about to start a new journey in social work - she has been hired by a private firm and will be doing child play therapy - something she has desired to do since her graduate program. She was very pleased with the boxes. 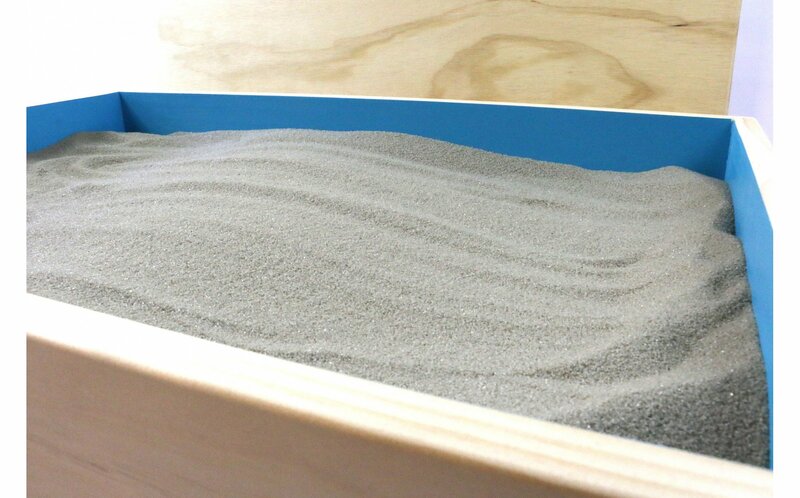 Nice sand tray. Delivered very quickly -- wonderful condition. Looks nice. The top feels a tad fragile. Otherwise l would give five stars. 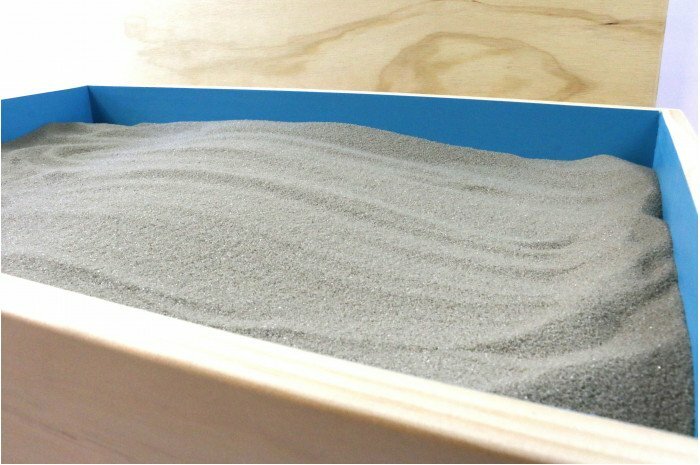 Thank you for the excellent quality of the sand tray, and the lid fits perfectly!